Simple, understated elegance. 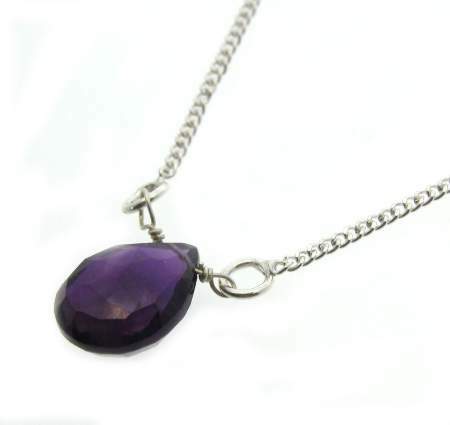 16" sterling silver chain with faceted briolette gem of either Amethyst or Labradorite. 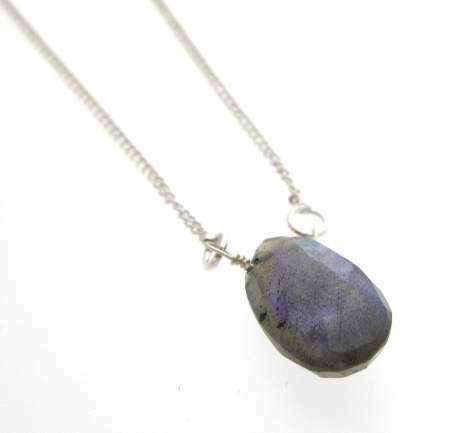 Necklace weighs approximately 6.5 grams. Handmade in India.